The image portrays the farm life in which many homesteads have beautiful barns, silos, & cattle as shown in the print of Nicole Heitzman's painting. 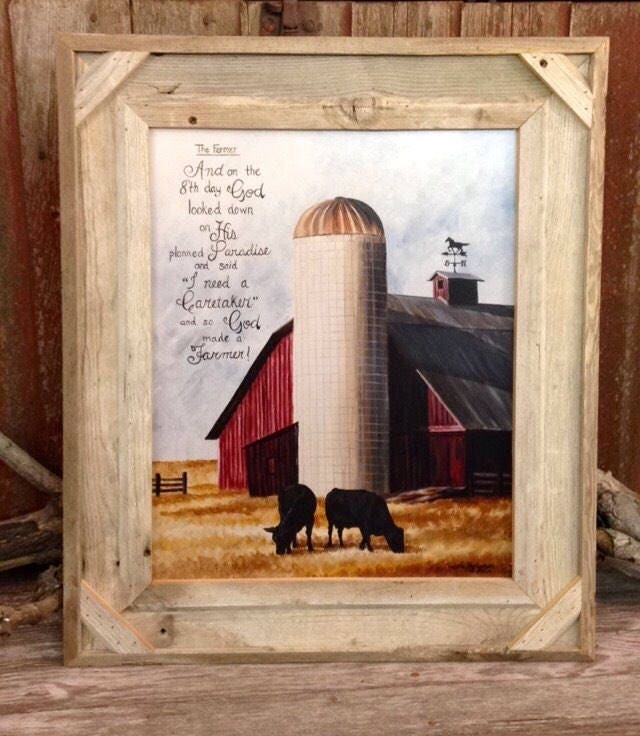 Artist, Nicole Heitzman, of Parkston, South Dakota created this image based on the beauty of the farming heritage. Due to the nature of the barn wood, each frame has it's own unique characteristics.